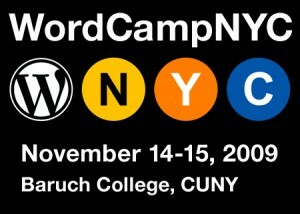 Adria Richards : I’m Speaking At Wordcamp NYC! Hi. I had a presentation titled “Building a Better Search: Development of a WordPress Search API” on Saturday under advanced dev. I’ve added the above. Thanks. I’ve actually mislaid the tape with the rest of the CMS track video, hopefully it will turn up! I’ll also try and bounce a few more things over to YouTube. I’ve been running into a weird bug while continually updating this post – WP arbitralily decides to move some anchors outside their links..